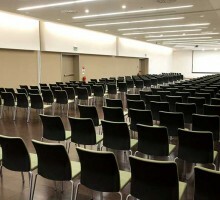 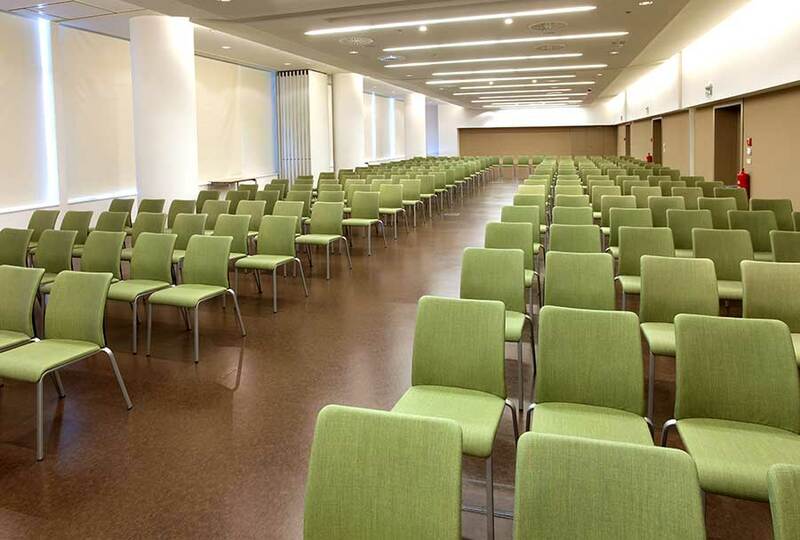 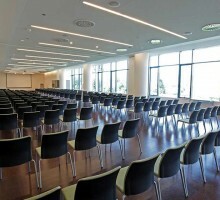 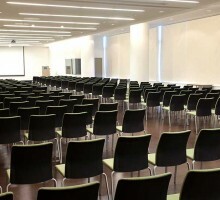 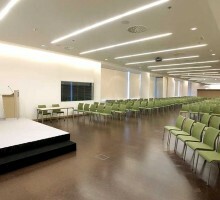 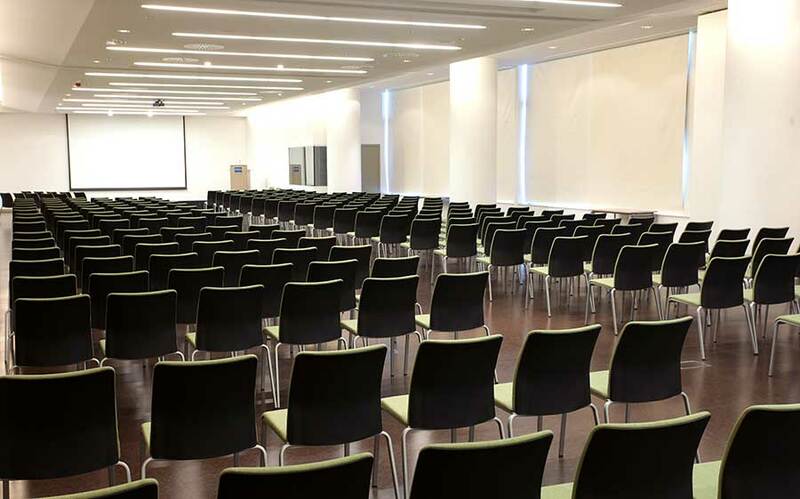 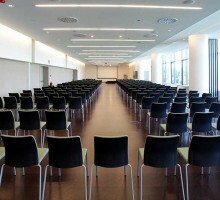 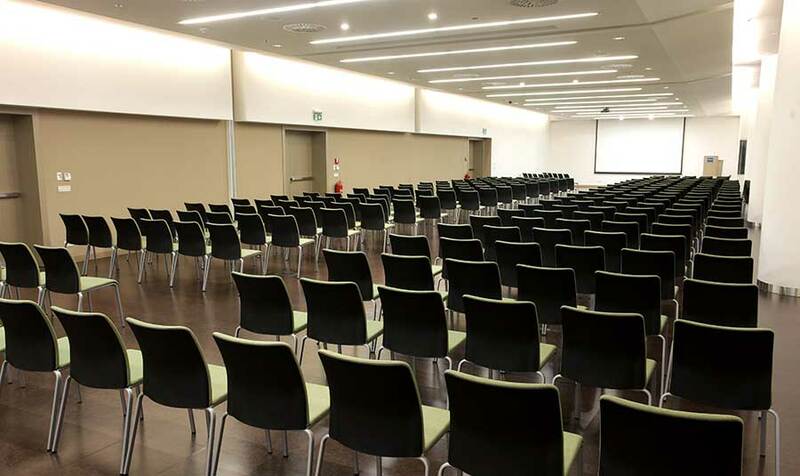 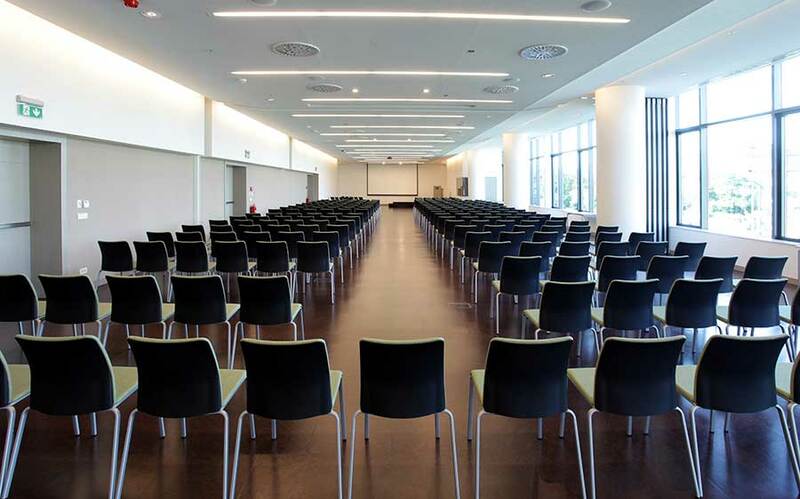 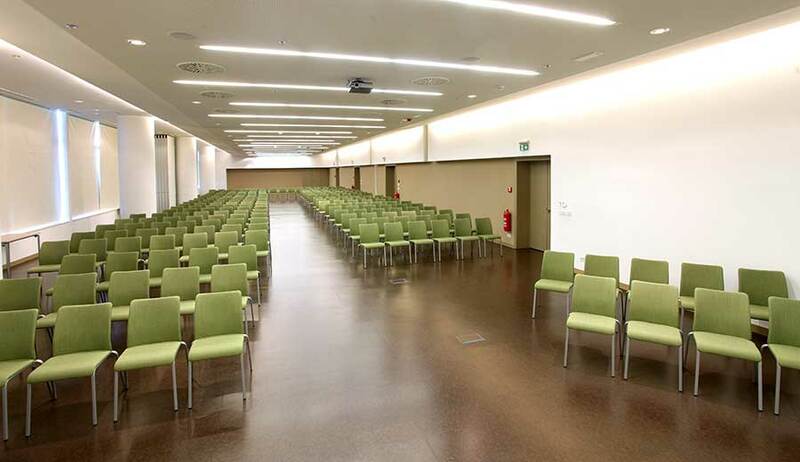 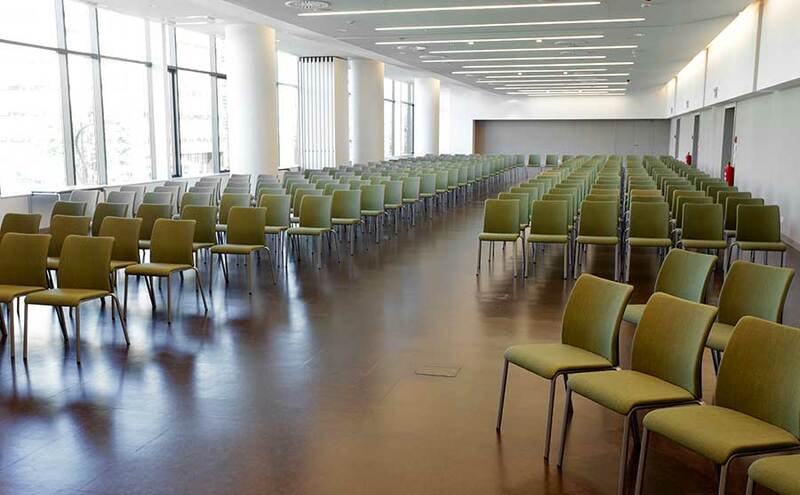 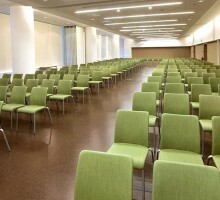 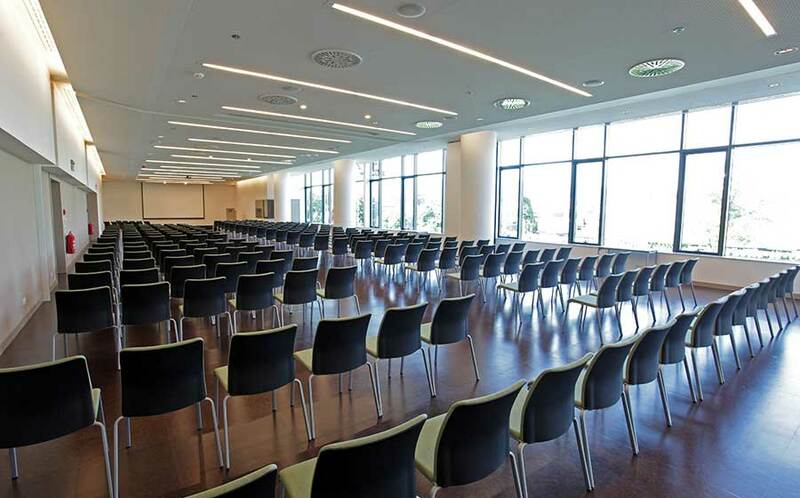 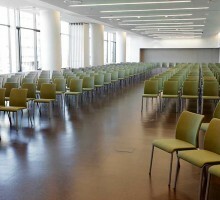 Zemlji + Reci + Slovo conference halls are separated by a movable partition or track wall and they can thereby be converted into one big conference room of 446m2 in which, depending on the requirements of the event, you can you can accommodate 100 persons in U shape, up to 350 people in auditorium style, or 250 people in banquet style, or up to 350 people in cocktail style. 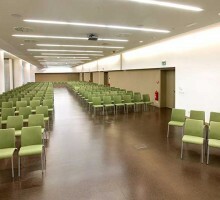 The big glass walls on the northern side of the hall are a source of natural light with a lovely view over Medvednica. 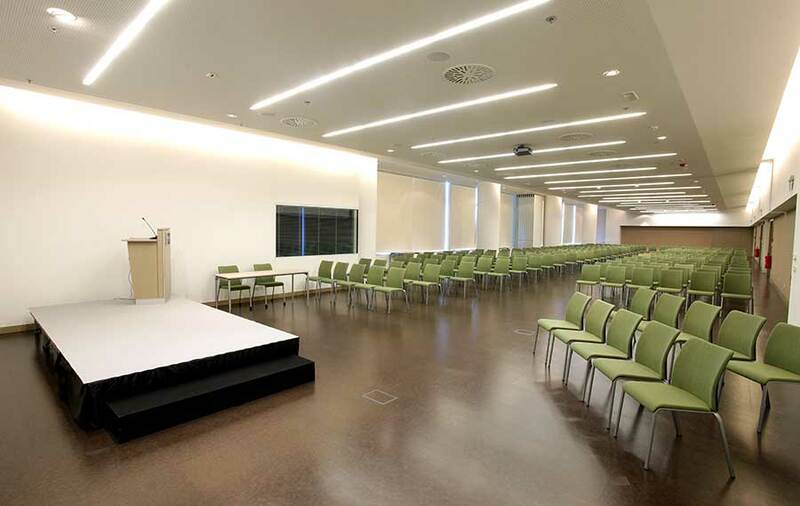 For a complete offer of audiovisual equipment and services go to our section on Services.